For those who tend to park illegally, be glad that we don't have enforcement methods like this. 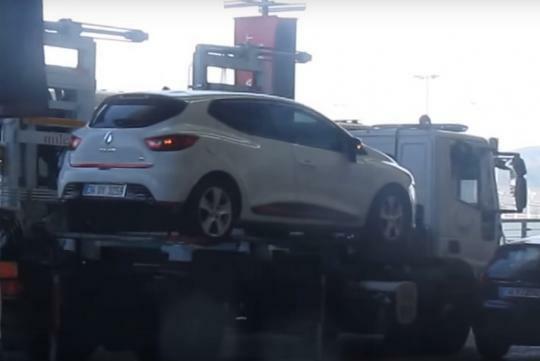 Shot in Istanbul at the Sabiha Gokcen Airport, the video shows an illegally parked Renault Clio being removed from where it was stopped. Amazingly, the small hatch, with its hazard lights still on, was cleared by the tow truck with cranes in around a minute or so. Bystanders do nothing as the helpless car gets carried away. While we aren't sure that is common practice or not in Istanbul, we should be glad we don't have trucks like that here! I was in Malaysia. Whole line of illegally parked cars. The toll truck came. Hook up a car. Switch on flashing lights and the loud beeper. Until driver came back to 'thank' him for waiting. LTA should buy this truck...together with an Officer sit inside the truck. LTA could outsource this to external contractors, and charge $500 to redeem each towed away vehicle. Helps contribute towards nation building, and at the same time, nail the illegal parking problem.